There's a sign at Beecraigs Cuontry Park saying "The Caves Are Dangerous". Really? Caves? Woo - where!? 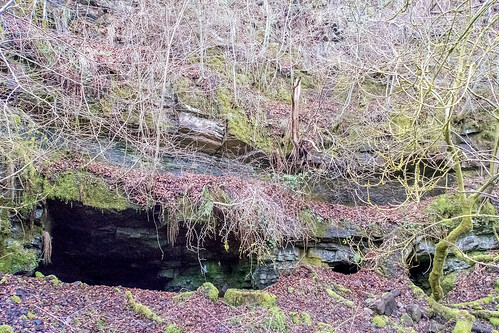 It appears that these "caves" may be an historical limestone mine. They slope really steeply down into the ground and certainly do look dangerous to me. I was perfectly happy to stand well back and take a picture from a distance!